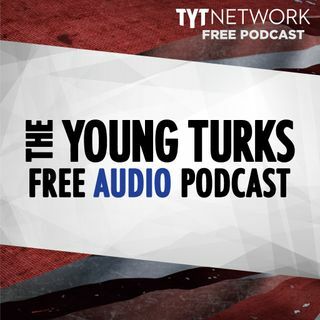 A portion of our Young Turks Main Show from March 2, 2018. For more go to http://www.tytnetwork.com/join. Hour 1: Cenk, John, Emma Vigeland, & Mark Thompson. Trump doubles down on tariffs. Trump on Friday defended his decision to impose tariffs on steel and aluminum, even as he acknowledged the move could trigger a global trade war. In a series of early morning tweets, the president continued to defy members of his own party — and some of his top advisers — by insisting that the tariffs ... See More would benefit the U.S. economy. “When a country (USA) is losing many billions of dollars on trade with virtually every country it does business with, trade wars are good, and easy to win,” Trump tweeted. Hour 2: Mike Jeffcoat, the coach at Texas Wesleyan University and a former major-league pitcher, has been fired after saying in an email to a Colorado high school prospect that the university no longer recruits players from the state due to failed drug tests. Trump has posted a furious, rambling and misspelt tweet about Alec Baldwin, the actor famous for impersonating him on Saturday Night Live. In an early morning post that rambled on multiple tangents, misspelt the word "dying" and called Mr Baldwin by the wrong name, Mr Trump suggested that the impersonation of him on the programme was painful to watch.